Chevron provides a good balance of financial strength and dividend safety. Chevron is undervalued despite being financially sound, having low levels of debt, reasonable earnings quality and decent momentum. 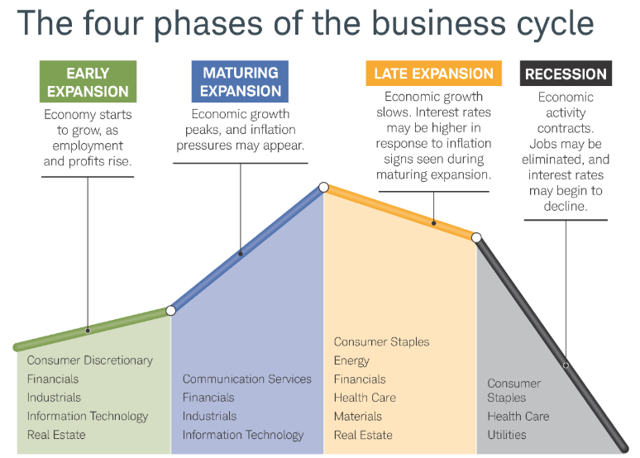 In this advanced stage of the business cycle, I expect to see more gains in the energy sector and believe the Anadarko acquisition to be a bargain. Chevron deserves a spot in a diversified dividend investor's portfolio. Note: My analysis incorporates my framework which I call "MAD Investing" or Machine Assisted Dividend Investing. Everyday, I calculate approximately 60,000 ratios for all U.S. stocks. I sort all stocks into percentiles for each ratio, from strongest to weakest. This information is used to derive a "stock strength score" and a "dividend strength score," which serve as indicators of a stock's potential for capital appreciation and potential as an income producing investment, respectively. To learn more about how these scores are calculated, please refer to this post. All financial data on mad-dividends.com is sourced straight from the S.E.C., whereas price data comes from IEX. Chevron Corporation (CVX) has a dividend yield of 3.97% and trades around $119.76. Based on my M.A.D Assessment, CVX has a Dividend Strength score of 91 and a Stock Strength score of 95. In this article I will demonstrate why I believe that dividend investors should invest in Chevron Corporation. Chevron Corporation engages in the exploration, production, and refining operations worldwide. Its oil refineries are spread across the United States, South Africa, and Asia with an approximate capacity of 2 million barrels of oil a day. My analysis will revolve around two pillars: dividend strength and stock strength. What is the difference between dividend strength and stock strength? Stocks with high dividend strength scores are particularly suited for dividend investors. Stocks which rank high in stock strength are likely to produce good returns for capital gain investors. Dividend investors can expect to do well by investing in stocks which rank highly in both dividend strength and stock strength. A strong dividend stock is one that will a) most certainly continue to pay you a decent dividend and b) one that will likely raise its dividend regularly. So I look at 2 different aspects - how likely the company is to be able to continue paying the dividend (safety) and how likely it is to grow (potential). Coverage and payout ratios will be analyzed to assess dividend safety. The company's dividend potential is measured by looking at the current dividend yield, the dividend's historical growth as well as the changes in the revenues and net income over the recent years. Chevron Corporation pays out 58% of earnings as dividends. This makes CVX's payout ratio better than 31% of dividend stocks, from an investment universe of 2188 dividend-paying stocks. I then turn to the cash-flow payout ratio : dividends compared to operating cash flow. Looking at both cash flow and earnings payout gives investors a more complete picture. CVX pays 28% of its operating cash flow as a dividend, which is better than 44% of dividend stocks. Finally, I look at the company's free cash flow payout. This adjusts operating cash flow for capital expenditures and paints the clearest picture of whether or not the company can afford its dividend. CVX pays 53% of its free cash flow as a dividend, which is better than 38% of dividend stocks. These numbers lead me to believe that Chevron Corporation has a satisfying dividend payout. The table above shows per share $ amounts and percentage payout rations. I also want to make sure that the company earns enough to cover its interest payments, and more broadly to service its debt. CVX makes enough to cover its interest payments 5 times, putting it ahead of 24% of stocks. This level of coverage is sufficient. The company can service its debt 7 times This is a better debt service coverage ratio than 55% of stocks. Given the coverage and payout ratios, it would seem like CVX’s dividend is quite safe. Next, we look at the stock’s potential to pay us a decent dividend which grows at a satisfying rate. Chevron Corporation has a dividend yield of 3.97% which is better than 78% of dividend stocks. The dividend grew 6% during the last 12 months which is higher than the company's 5-year average dividend growth of 3%. During the last year, the company’s revenues have grown at 6%, while net income has grown 48%. For a company to continue paying a growing dividend in the foreseeable future, it needs to keep growing both the top and bottom lines. If the company keeps growing revenue and net income at the current rate, CVX’s dividend has decent potential. Investors might want to be cautious, since Chevron's revenues are closely tied to the price of oil, despite oil stocks not being perfectly correlated to the price of a barrel. Nonetheless, at current prices, the amount of cash flow Chevron generates can more than cover future dividend payments. Furthermore, the company has enough cash on its balance sheet to pay more than 4 years of dividends. Therefore, I believe that Chevron has the potential to keep growing its dividend at a 4-5% rate for the upcoming years, barring any dramatic shifts in oil prices. CVX has a dividend strength score of 91/100. Chevron's earnings have been very volatile over the past 5 years, yet the company has continued to generate tons of operating cash flow, and over the past year, has generated enough free cash flow to cover the dividend twice. As far as Chevron's potential to be a good energy to a dividend portfolio, I'm convinced. When picking on dividend stocks, investors must focus on more factors than dividends alone. While companies which pay stable and growing dividends usually fare quite well, one would be foolish to not look closely at the fundamentals. Historical data of nearly a century of stock market performance identifies four factors which dictate stock performance: value, momentum, financial strength and earnings quality. I look at these factors one by one to assess the quality of the company which I’m considering investing in. Put plainly, undervalued stocks fare better than overvalued stocks. Value can be quantitatively assessed by looking at ratios such as P/E, P/S, P/CFO and Shareholder Yield. Depending on the stock’s ratios, my algorithms assign it a value score out of 100. According to these values, CVX is more undervalued than 89% of stocks, which is very satisfying. The company is trading at a very low multiple of cash flow. Furthermore, I like to draw P/E Lines over the stock chart, like Peter Lynch used to do back in his day. Doing so gives investors an idea of the stock's valuation range as a multiple of earnings. As you can see, CVX is currently trading below its historical average Price Earnings. Because of super volatile earnings, any stability in earnings over the next year could see the price going much higher. The trend is your friend. Many investors mistakenly believe that buying trending stocks is reserved to growth investors. Nothing could be more wrong. Since stocks which have been going down will likely continue to go down, and those which are going up are more likely to continue to increase, one could argue that purchasing on the way down generally isn’t the best strategy. Chevron Corporation trades at $125.49 and is up 7.2% in the last 3 months, 2.41% in the last 6 months and down 0.78% during the last 12 months. This gives it better momentum than 56% of stocks, which is sufficient, despite Chevron underperforming the S&P 500 during the trailing 12 months. Stocks with good momentum have the odds on their side, whereas those which have underperformed tend to go down some more. CVX doesn’t have great momentum, especially after taking a hit following the news of the Anadarko (NYSE:APC) acquisition. 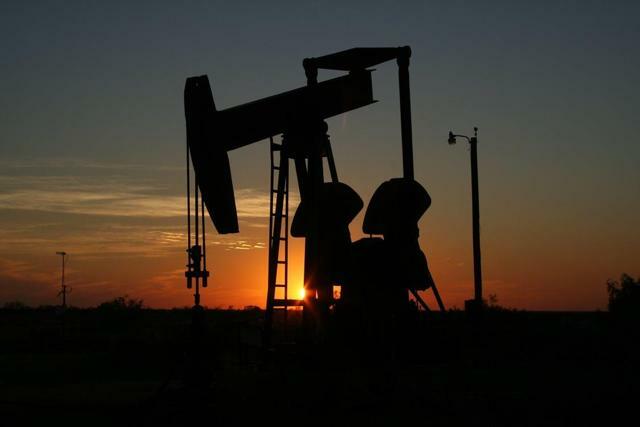 However, the energy sector has been performing well throughout the first quarter of 2019, and as I explain later I expect it to continue doing so. For these reasons, I believe CVX has more tailwinds than headwinds in the upcoming year. Companies which are financially sound don’t need to increase their leverage dramatically; they also produce high amounts of cash flow in relation to their liabilities. They also tend to outperform those which are not financially sound. Furthermore, rapid increase in leverage might indicate problems down the line, especially for dividend investors. CVX has a Debt/Equity ratio of 0.6, which is better than 74% of stocks. The company’s liabilities have declined by 6% over the course of the last 12 months. The company’s operating cash flow can cover 31.2% of liabilities. This makes CVX more financially sound than 94% of U.S. listed stocks. Chevron has extremely reasonable levels of debt, which we would want to see in a company whose operations are as volatile as Chevron's. Reducing financial leverage stabilizes the company and makes earnings and dividends more predictable, which is always welcome. Let me tell you one give-away that you probably shouldn’t invest in a stock: earnings manipulation. You wouldn’t believe how easy it is to influence earnings through accounting shenanigans. Companies which have high-quality earnings will have low levels of accruals, will depreciate assets quickly and will have high-quality assets which produce lots of revenue. CVX depreciates 1% of its capital expenditure each year, which is better than 61% of stocks. Finally, each dollar of assets generates $1 in revenue, which is better than 55% of stocks. This makes CVX’s earnings quality better than 66% of stocks. When Oil prices are sufficiently high, you can't knock Chevron's operations. The company depreciates its property, plant and equipment at a satisfying rate and asset turnover is good. However, the earnings quality score could easily decline if the sector goes sour. When combining the different factors of the stock's profile, we get a stock strength score of 95/100 which is fantastic. This isn't surprising, since during the late expansion phase of the business cycle (which we are in), energy stocks tend to outperform over sectors. An investment in Chevron would seem astute at this point in time. With a dividend strength score of 91 and a stock strength of 95, I believe Chevron is a great choice for dividend investors. I was personally very surprised that the market reacted negatively to the announcement of the Anadarko acquisition. I think $65 per share is a bargain price, and if the deal goes through would be greatly accretive to CVX investors. The dividend will likely grow at a steady rate, there is close to no risk that it will be cut, and if the stock price appreciates quickly in upcoming months, dividend investors can always consider chipping in early and pursuing another income opportunity. Disclosure: I am/we are long CVX. I wrote this article myself, and it expresses my own opinions. I am not receiving compensation for it (other than from Seeking Alpha). I have no business relationship with any company whose stock is mentioned in this article.